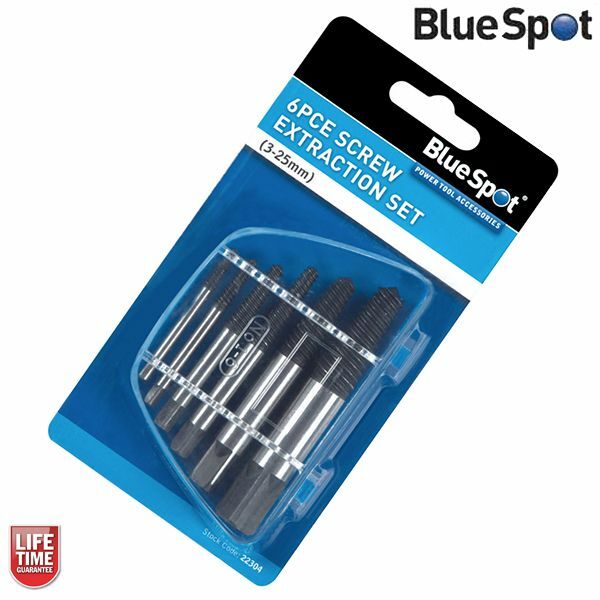 The BlueSpot 6pc Screw Extraction Set is manufactured from carbon steel. 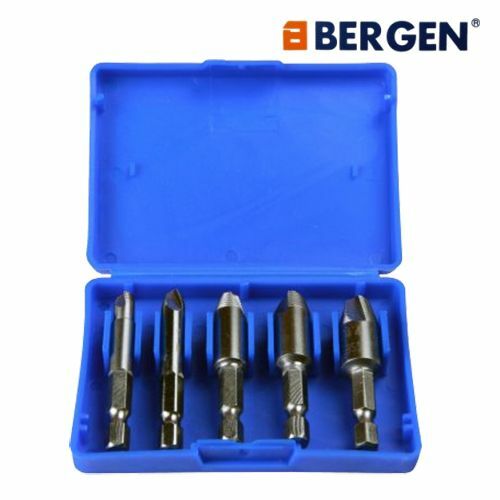 The set is for the removal of screws/bolts when the head has become damaged. The product features a reverse thread. 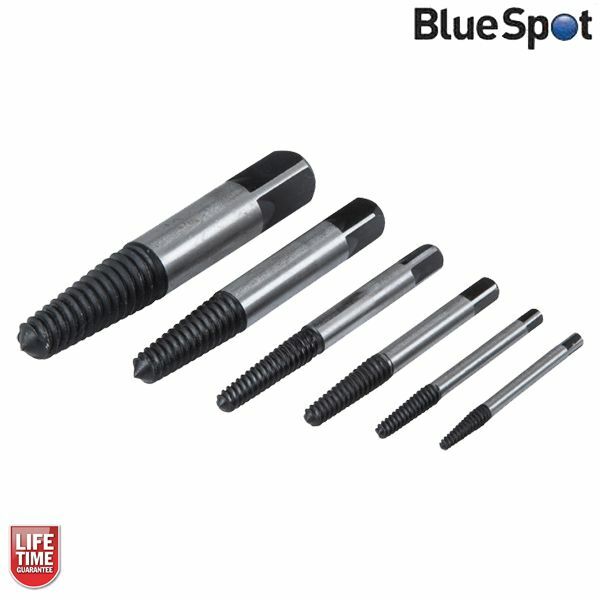 Insert into pre-drilled hole within screw and operate drill in reverse to remove screw without damage to hole. The square end also allows use with a tap wrench.